"Our vision with this game is to capture the old-school first-person shooter feeling. We want to make a game experience that doesn’t feel too complex, a game that is easy to understand but hard to master. We believe that the simple graphic combined with the arcade-style gameplay will bring comfort to the player and just let you have a good time playing. Hopefully the game will be released in 2018, but we like to stick to the saying ”a game is only late for a short while, but is forever bad”. So we will release the game when we think it is good enough. We will make all future dlc fully free of charge. Personally, we feel that having a price on dlc takes the joy away of new content. It no longer feels like a gift, just another thing to pay for. We want our DLC to feel like a gift. The game will retail for about $9.99 on Steam, which might increase after more content has been added." False Front - Devlog #14 - New Maps and Weapons! All maps that will be available at release are now done. Although we're planning on making more maps after the game launches. 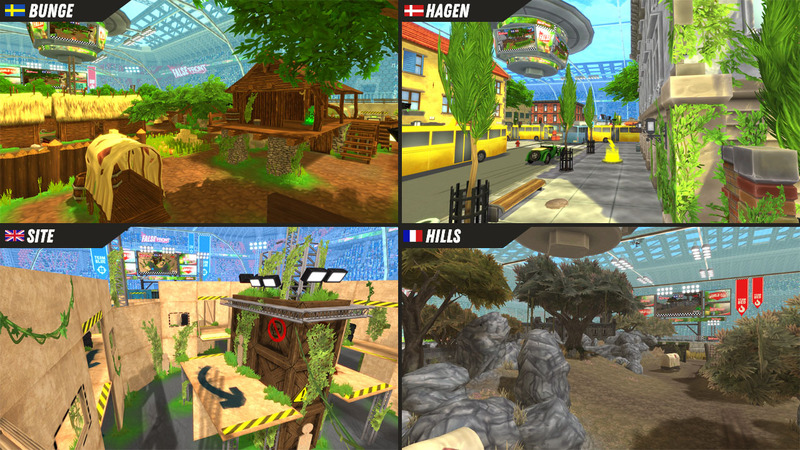 New maps take at the moment about 1-2 months to make, but hopefully we can decrease that time in the future. Hills is the most recent map we've made and its one of the biggest and most optimized maps we have. It is more open and natural than any of the other maps and will hopefully bring some different types of gameplay than the other maps. 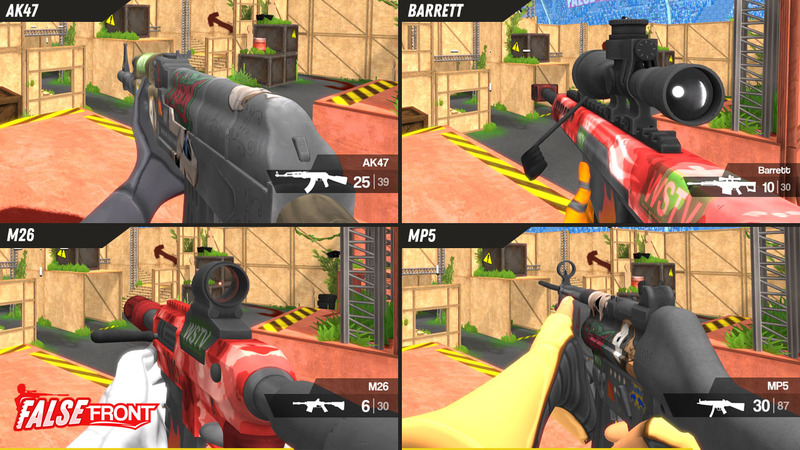 We have added 4 new weapons to each class and there are now a total of 16 weapons in the game. Weapons are fairly easy to make so we will most probably be adding even more in the future. 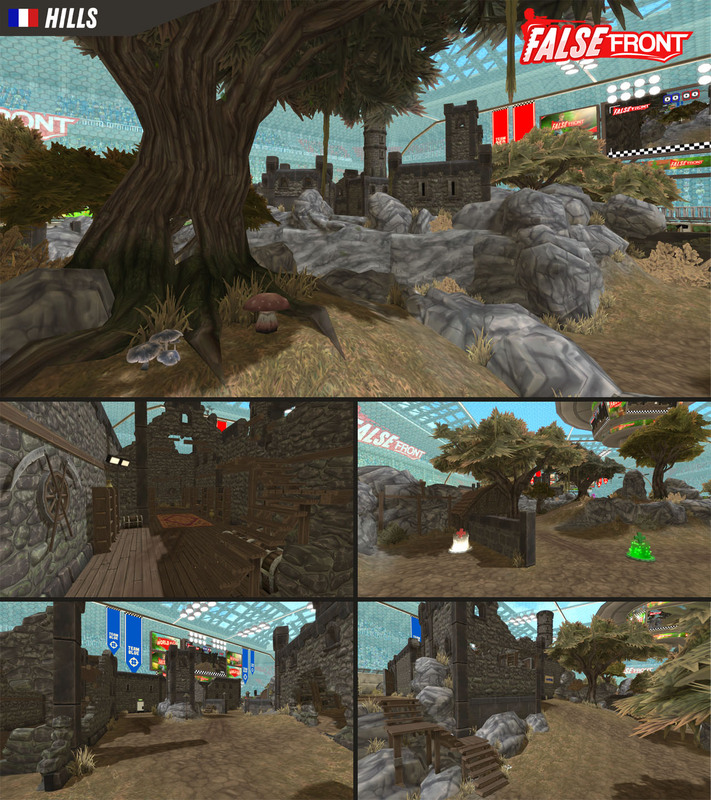 False Front - Beta now open! False Front Steam beta is now open! You can get a key through our discord server. False Front Official Trailer & Beta Sign-ups open! Check out False Front's first official trailer. You can now head over to our discord server to sign-up for a future beta testing. False Front - Devlog #13: Gameplay! False Front - Devlog #12: New weapons! This week we show a list of all the weapons that will be included in the game at launchday aswell as some gameplay footage against bots. I’m am currently using the beta and it says you can only play private matches as of today but doesn’t give me the option to play online, it just says beta closed how I’m I able to play private games? The BETA is closed at the moment (also private matches). We will open it for test again later. We will announce when it starts again on discord. Is it true, or I got all hyped up for nothing? If there is split screen, how many players? Is it playable online? So many questions! You will be able to play online with 2 player split-screen, this requires at least one controller though. and offline split screen? Also up to 2 players? Anyway, you should put screenshots and info on split screen to the store page. For some folks it might be the most important feature since there isn't a lot of shooters to play together on single PC these days. Yeah, splitscreen will be available offline aswell, and the there are bots. Our release target at the moment is september, but it could be earlier or later. I can't believe how far this game and company has come! Keep up the good work!